On what's apparently going to be the last day for a while of the sunny skies and warm temperatures there was enough south in the wind to really perk up sea passage but land interest remained minimal at best. Both Chesil and the Bill were well watched through the early morning when there looked to be lots of duplication (...did fewer birds than usual take the short-cut across the beach and the harbour? ), with minimum totals that included 88 Common Scoter, 44 commic terns, 34 Sandwich Terns, 18 Little Gulls, 13 Whimbrel, 8 Arctic Skuas, 6 Red-throated Divers, 6 Manx Shearwaters, 5 Brent Geese, 5 Velvet Scoter, 3 Great Skuas and 2 Wigeon. 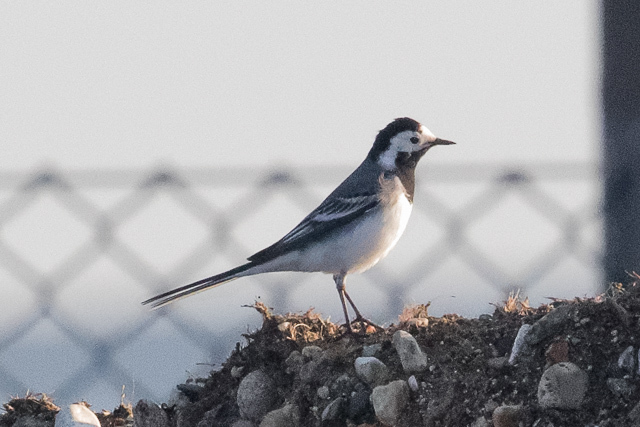 The land was very much the poor relation in terms of numbers, with the Bill coming up with just a thin scatter Blackcaps and both phylloscs, 4 Wheatears and a White Wagtail; variety elsewhere included a Marsh Harrier north over Blacknor and a Pied Flycatcher at Verne Common.